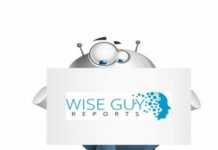 WiseGuyReports.com adds “Automotive Biometric Vehicle Access System Market 2019 Global Analysis, Growth, Trends and Opportunities Research Report Forecasting to 2024” reports to its database. Automotive Biometric Vehicle Access System is a technology developed for automated access to a vehicle based on behavioral or physiological characteristics. It is used for verification and recognition of a manual access for better anti-theft protection and sense of comfort and safety for car owners. The biometric vehicle access system technology is user-friendly, reliable, and convenient. The global Automotive Biometric Vehicle Access System market is valued at 440 million US$ in 2018 is expected to reach 1270 million US$ by the end of 2025, growing at a CAGR of 14.1% during 2019-2025. This report focuses on Automotive Biometric Vehicle Access System volume and value at global level, regional level and company level. 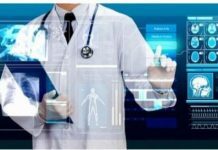 From a global perspective, this report represents overall Automotive Biometric Vehicle Access System market size by analyzing historical data and future prospect. Regionally, this report focuses on several key regions: North America, Europe, China and Japan.